Mercury Marine hopes to revitalize the sterndrive market with decisions the company has made about “taking control” by building its own sterndrive engine blocks instead of receiving them from the automotive industry, as it is doing now. “We have made the decision that we will shift away from an automotive supply for our gas sterndrive product. For one reason, there are lots of things going on in automotive today with [Corporate Average Fuel Economy] requirements that may make sense for automotive, but aren’t necessarily adding value for marine applications,” Mercury president Mark Schwabero told investors and analysts during a meeting this week at the New York Stock Exchange. General Marine Technical Topics General marine topics such as “Is WINTERIZING Something I Can Do Myself”, “What is Marine Corrosion And How Can I Prevent It”, and “Should I Fog My Marine Engine”. Marine Cooling Systems Learn about the benefits of closed cooling, 1/2 versus full closed cooling systems, how to install a thru hull fitting, installing closed cooling on an old engine, and much more. Boat Engine & Repowering Topics Learn about marine engine topics ranging from how do I replace my engine, my accessories are still good can I just replace the block, are automotive and marine engines the same, do the new EPA regulations apply to marine engines, is the 454 different from a 496, etc. Marine Exhaust Systems Learn about marine exhaust topics such as when you should replace your exhaust, aluminum versus cast iron, are coatings beneficial, do marine gaskets require sealant, how tight to torque risers, etc. Mercury and Mercruiser Topics General Mercruiser topics ranging from Common Mercruiser Service Bulletins, how to find your Mercruiser serial number, where to find Mercruiser installation drawings, and what is Mercury CPO product, how are Mercruiser engines affected by the new EPA regulations. 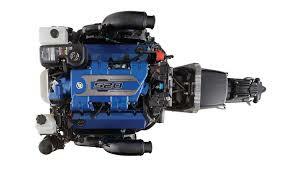 PPT Articles & Categories A variety of Marine Article Topics that are supported by Performance Product Technologies. Propellers Fundamentals Find out everything you ever wanted to know about propellers. Sterndrives & Transom Assemblies Learn more about Sterndrives such as how to if you have an Alpha Gen 1 or Alpha Gen 2, what is your gear ratio, how to adjust your shift cable, etc. Suzuki Outboards General Suzuki topics such as model identification, year model serial number to model year reference charts, service tips, etc. Velvet Drive Transmissions Includes product diagrams, parts lists, and model pricing for Inline, Direct Drive, V Drive, and Down Angle Borg Warner/Velvet Drive Marine Transmissions. Yamaha Outboard Motors Includes Yamaha product diagrams, parts lists, and model pricing for 2 stroke and 4 stroke outboard motors. ZF Hurth Transmissions Includes product diagrams, parts lists, and model pricing for Inline, Direct Drive, V Drive, and Down Angle Borg Warner/Velvet Drive Marine Transmissions. Our Technical Boating Library features a wealth of information for both novice and veteran boating enthusiasts, including easy-to-follow how-to videos and valuable articles. Search for the information you need by category, then select the associated topic to find answers to common boating related questions. Whether you’re looking for articles on replacing a Marine Engine, Quicksilver Marine Parts or propeller fundamentals you will find it at PPT. However, if you still can’t find the information you need in our library, please don’t hesitate to contact us via phone or email (405) 533-3812 or sales@perfprotech.com. Our experienced and friendly staff is always available to answer your questions and guide you down the right path, from finding the right Yamaha marine parts to installing a wakeboard tower. Performance Product Technologies offers more than 50 combined years of technical experience and knowledge in the boating and marine parts industry. We understand the design and engineering of everything from long block engines to Volvo marine parts and accessories, making us a reliable source for insight and advice on the best parts and options for your boat and boat engine.